Lots of movies in the 1980s had a very common underlying theme. 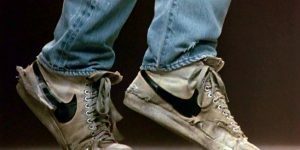 They always had something to do with dancing; hence the movies Flashdance, Dirty Dancing, and of course, Footloose. 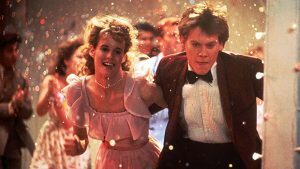 Footloose is the kind of movie that you should rewatch because of its unique plot and hidden meanings that you couldn’t unravel the first time around. The film follows the adventures of the rebellious duo Ariel and Ren and their gang of friends who try to bring about a radical change in their conservative town that has rigid rules. The small town Bomont has weird laws against music, drinking, and even dancing. To fully appreciate the movie, it’s important to rewatch it from different perspectives. Below are just a few reasons why you should watch Footloose again. John Lithgow has a weird thought process powering his absurd beliefs. He recently lost his son to a horseplay related car accident and is adamant that the same doesn’t happen to his daughter. To protect her, John reinforces his town’s restrictions against dancing; this is in stark contrast to his daughter’s wishes who wants nothing more than to dance her way to bliss. He gives the film a formidable appearance as the quintessential ‘alpha male’ who is so influential that the entire town of Bomont sways to his whims. Unless you have a stone cold heart, the romance between the reverend’s daughter and Ren will melt you. The romance between the two serves an essential purpose to the plot, instead of merely forcing it onto the audience. She needs his support in putting up a successful rebellion. He needs her to become confident enough to pull the small town out of its conservative roots and to make it adapt to more progressive attitudes. Then there is the romance between the characters of Sarah Jessica Parker and Chris Penn. Even the imposing reverend loses his overpowering confidence every once in a while. His wife comes to his rescue every time she sees him struggling. Since the movie is all about dancing in general, it’s no surprise that there are several excellent dance moves. Most viewers will agree that behind the simple and often lackluster dance routines are passionate-driven performances. The actors are very expressive when they dance, making it easy for us to connect and empathize with them. A central theme to the film is friendship between two incompatible guys. It explores the dynamic relationship between Kevin Bacon and Chris Penn’s characters who are polar opposites. Despite the two not having any common ground to connect, it is heartwarming to see Bacon teach Penn how to dance. 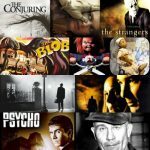 Every movie needs a compelling villain to drive the core plot; otherwise, it the audience can quickly get bored. Despite the rigid character of John Lithgow who frequently locks horns with Kevin Bacon’s character, the two are actually seen getting along with each other in the movie. It’s fun to see the two handle their differences without becoming violent. 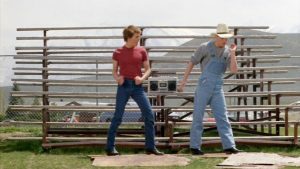 Footloose teaches us to take our differences in stride.